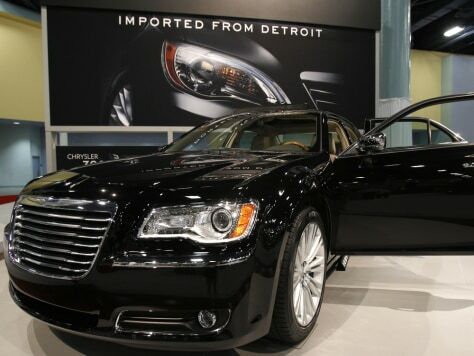 A 2012 Chrysler 300 is displayed at the 41st annual South Florida International Auto Show. Chrysler said its U.S. sales jumped 27 percent in October. It was the company's best October sales since 2007.